We recently visited the seaport city of Seattle and instantly fell in love. When friends of Jenni’s bought a home in the Pacific Northwest, we knew we had to book a trip and do some exploring. Often overcast but far from dismal, the marine climate lends itself as a backdrop to the lush evergreen forests of Washington, earning Seattle the nickname “The Emerald City.” Horizon-spanning waters makes this the perfect destination for urbanites and nature lovers alike. 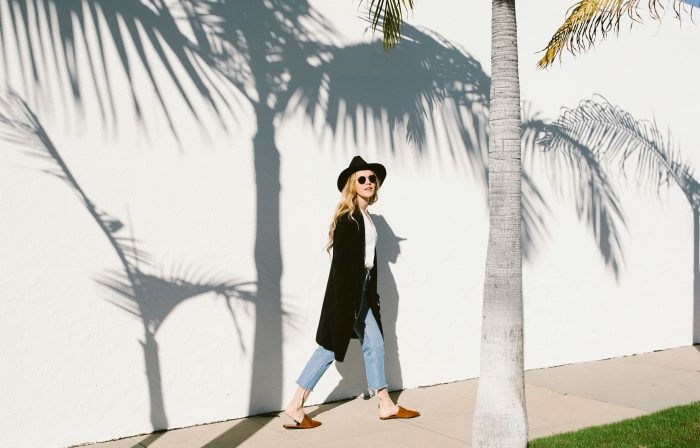 We loved ambling around, stopping to eat, drink and shop—and we can’t wait to go back. Sitka & Spruce—Our morning in Seattle was kicked off with a delicious brunch featuring traditional flavors of the Pacific Northwest—think earthy foraged mushrooms and abundant greens. 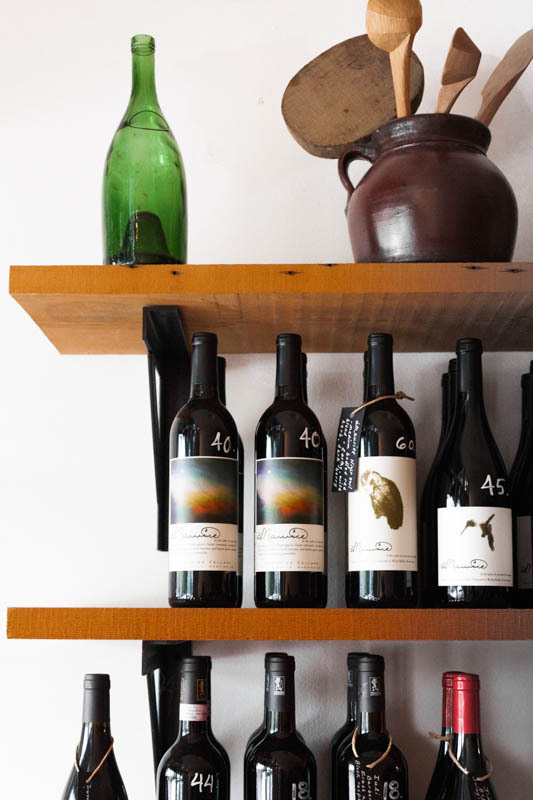 With an impressive wine list, Sitka & Spruce also makes a fabulous spot for dinner. Walrus & the Carpenter—If you find yourself in the Ballard district, this popular raw bar is a must. Located right on the water, you’ll be hard-pressed to find oysters as fresh as these. And with its light, bright atmosphere, this French-American raw bar is the venue that makes any occasion a celebration. 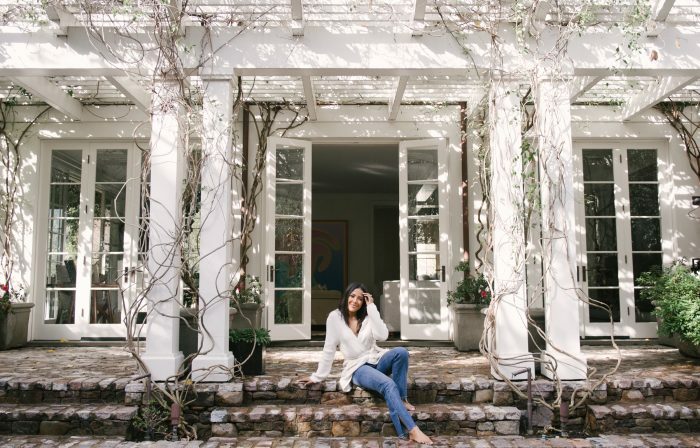 Junebaby—Southern cuisine at its finest. Junebaby brings flavors found in family recipes from his roots spanning Georgia and Florida. Golden, flaky biscuits, charred okra and “swamp cabbage” are just a few dishes that bring the history of regional cooking to the shores of Seattle. Tarsan i Jane—Locally sourced and seasonally aware, the daily offerings at Tarsan i Jane are exceptionally unexpected. There’s always an element of surprise—with no printed menu, trust in the chef is required. Simply choose between twelve and eighteen courses and enjoy a range of super-fresh, Spanish-style flare. Tip: try an iteration of a gin and tonic with unexpected mix-ins, like grapefruit, ginger, and rosemary. Whale Wins—Another nautical-inspired hot spot from Seattle restauranteur Renee Erickson, this time with a spotlight on seasonal, locally sourced vegetables. Plates encourage sharing, so graze away on wood-fired veggies, or come back for their signature Monday cassoulet. 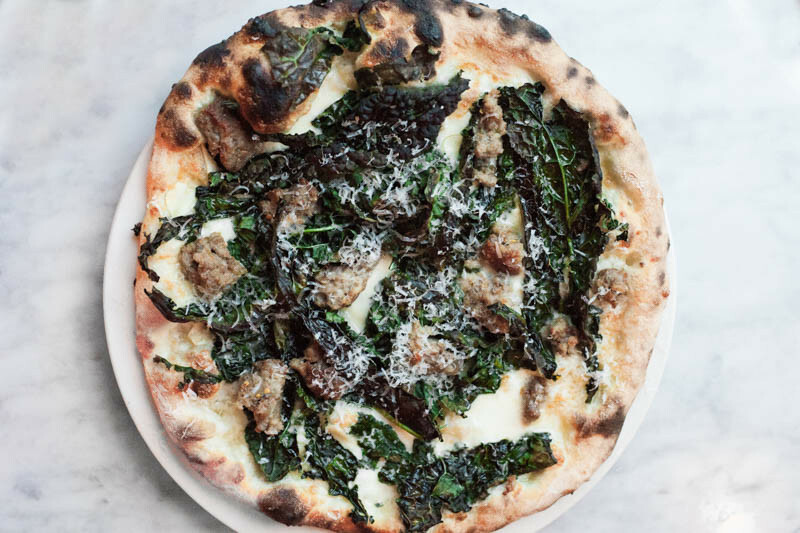 Delancey—Ballard is also home to Delancey, arguably the best wood-fired pizza in town. We loved the white pizza accompanied by a big, crunchy romaine salad on the side. The wait can be long, but for good reason—the food is incredible. Tip: sip on a craft cocktail next door at Essex while you wait. 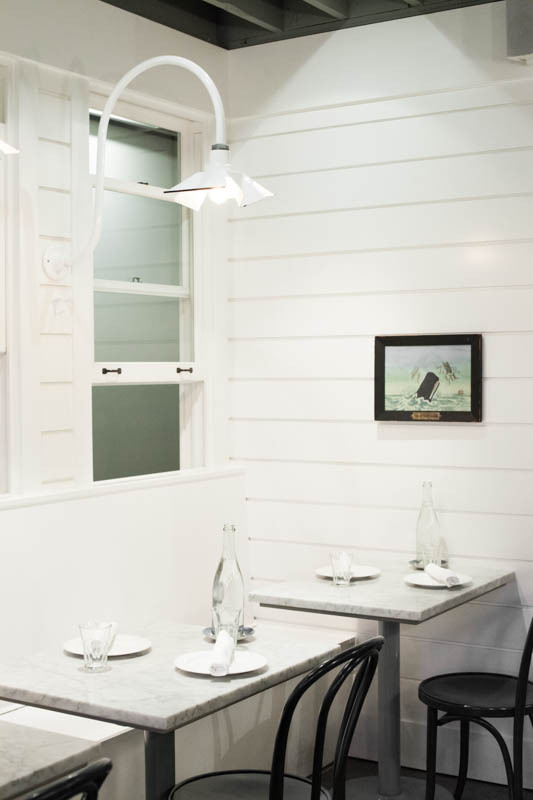 Copine—This fine dining spot juxtaposes innovative, meticulously plated dishes with an unfussy, refurbished wood interior to create an atmosphere of austerity, elegance, and ease. Contemporary American cuisine with classical French influences and techniques, this serene locale delivers an air of comfort and a not-to-be-missed “Food to Take” retail corner. RockCreek—Great happy hour with globally sourced seafood—silky hamachi from Hawaii and yelloweye rockfish from the Olympic Peninsula are the standouts. Find yourself in their expansive, unfinished warehouse space for a lively, upbeat dinner and impressive drink list. Fat Hen—Another fabulous breakfast spot, not to be missed. 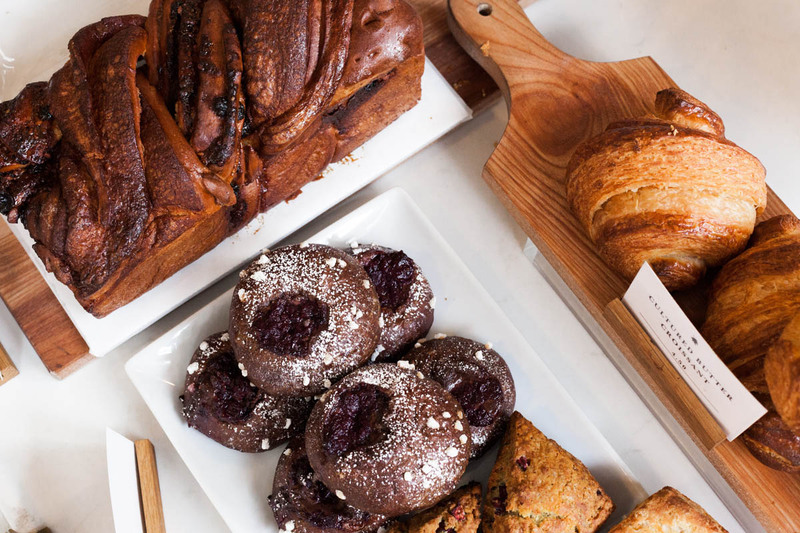 Order an egg bake, a coffee, and grab a few delicious house-made pastries to go—a true hot spot for local Seattleites. Stateside—A delicious fusion restaurant with French and Chinese influences. Jenni loved the clean wood and marble interior. Wallpapered in a pattern of palm fronds with accents of vintage-inspired light fixtures, the atmosphere joyful and fun—the perfect place to enjoy a meal with friends. Tweets Cafe—Tweets is a little far out from Seattle proper, but worth the drive. This café is only open on weekends, but it’s eclectic and artsy, with a farm-fresh focus. Almost always filled with bouquets of flowers, Tweets is a charming coffee shop with a rotating menu of bountiful salads and perfect pastries. Marine Area 7— With a curated selection of both vintage and new, this is the one-stop shop for those looking for unique gifts and goods for the home. Don’t miss their eclectic array of cookbooks—we had a great time perusing the selection. 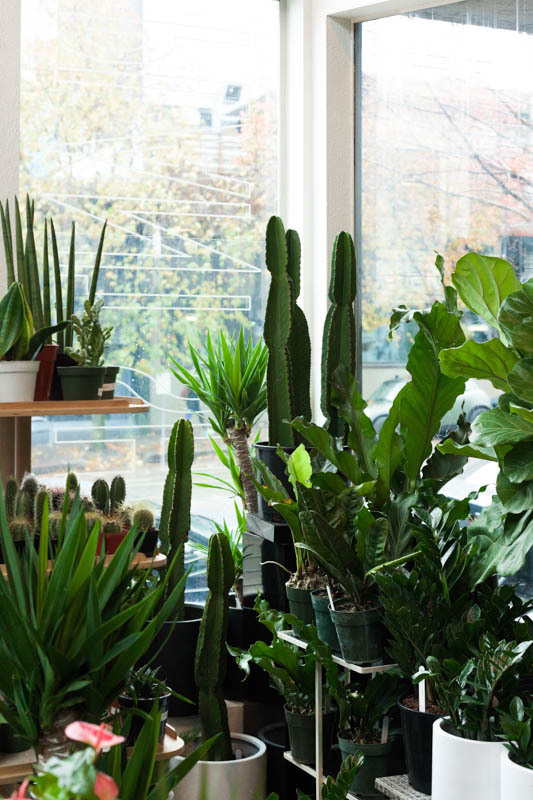 NICHEoutside— The ultimate shop for gardeners and casual cultivators. Representing an impressive roster of local designers and artisans, we love the spare, carefully edited selection of all things nature. London Plane— London Plane is another must for those who love flowers, but their offerings don’t stop there. Half bakeshop, half flower shop, we spent one afternoon enjoying a long lunch. Their house-made toast with labneh and asparagus was the standout treat. 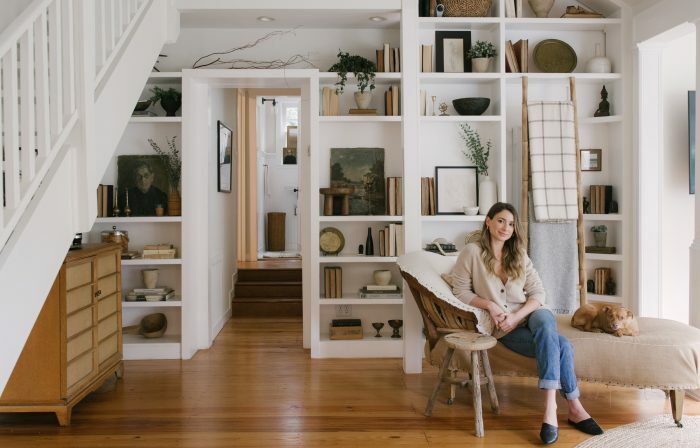 Homestead—Lovers of mid-century modern furniture, vintage rugs and house plants all convene at Homestead. Verdant, lush, and bright, you be tempted to move in to this high-ceilinged haven. Totokaelo—As long-time shoppers online, we loved the experience of shopping in person. The beautiful space lends itself well to their elevated assortment of curated designer apparel, shoes and accessories. 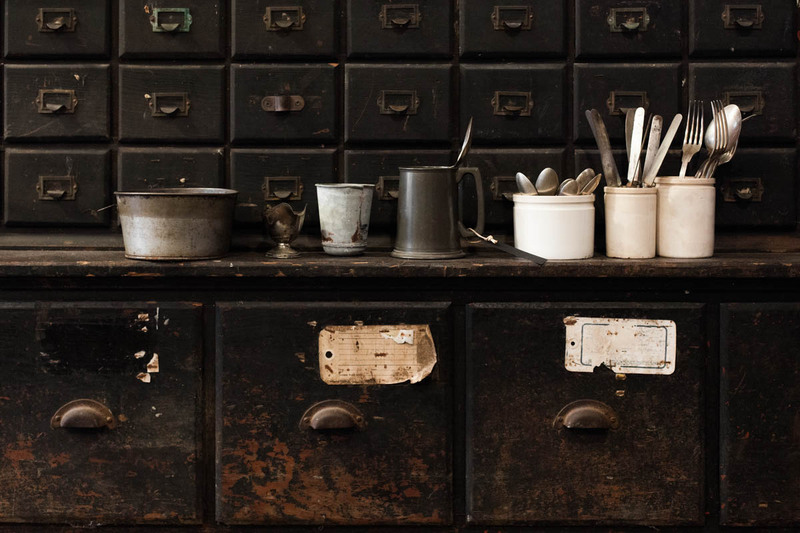 Watson Kennedy—Truly a cabinet of curiosities. From one-of-a-kind antiques to unique oddities you won’t find anywhere else, this whimsical shop has just about everything. Take your time here—poking around its wares and stumbling upon something special is truly half the fun. Filson—It wouldn’t be a Seattle shopping trip without visiting Filson’s flagship store, the birthplace of impeccably made, timeless bags. Schedule a factory tour in advance to see how it all comes together. 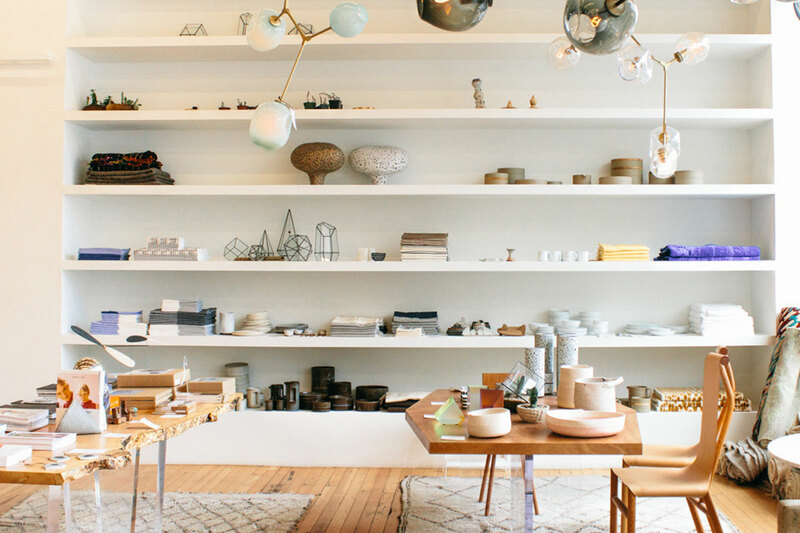 Melrose Market—Walk a short way from downtown and find yourself in Melrose Market, the chiller cousin to the renowned Pike Place Market. This expansive food and retail emporium houses restaurants (notably, Sitka & Spruce) and a swath of independent retailers. Delaurenti Specialty Food & Wine—Since 1946, Delaurenti has been a cornerstone of Pike Place Market. Make a stop if you’re already visiting Pike Place, but be prepared for a crowd. 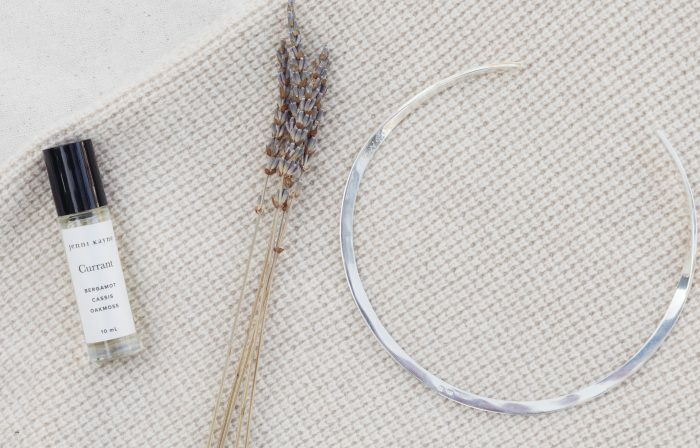 Dandelion Botanical—This family-owned herbal apothecary that stocks everything from cooking herbs to Chinese medicinal tinctures and Ayurvedic formulas. Sea Wolf Bakery—Locally sourced flour, rye and barley make this Seattle institution a neighborhood favorite. 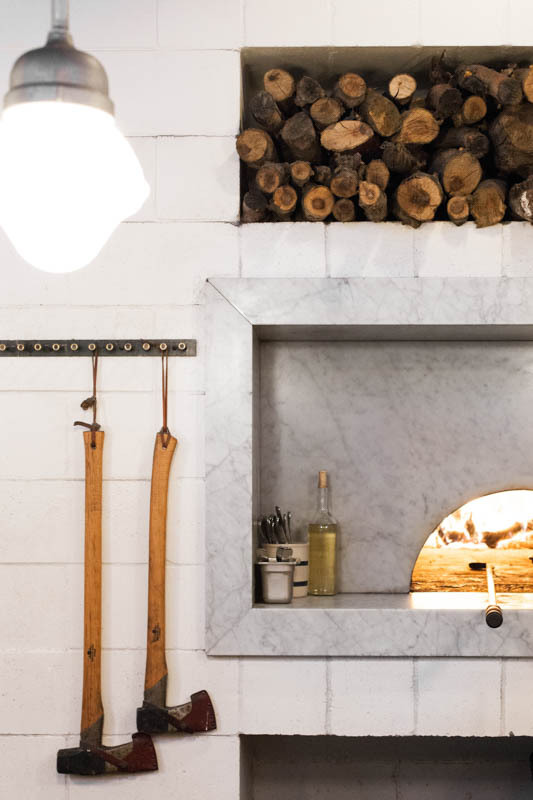 They even offer bread baking classes, so you can learn from the best. 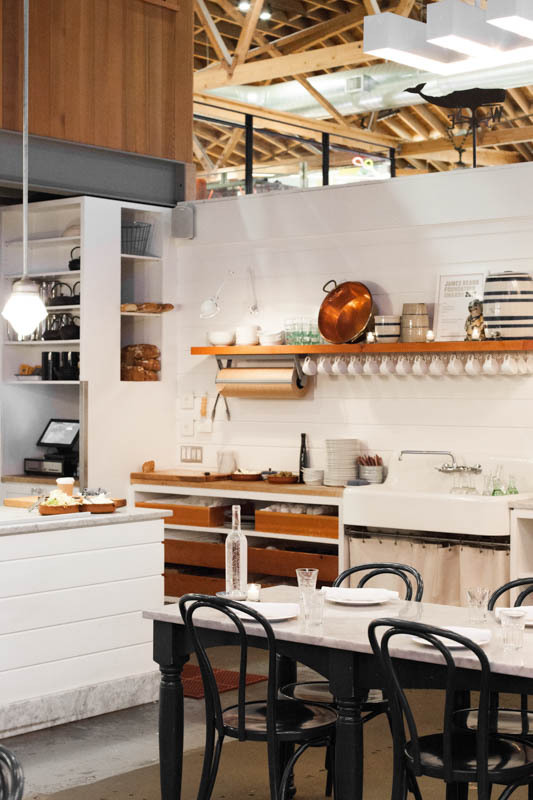 The Pantry—With an impressive schedule of cooking classes, The Pantry is the perfect activity to get your hands on the region’s food and learn a few new techniques for the kitchen. Molly Moons—The best ice cream in Seattle uses 90% locally sourced ingredients, offers its employees 100% paid health insurance, raises money for local nonprofits and consistently gives 1% of sales to food banks, equity organizations, women and girl empowerment initiatives, Seattle Public Schools and local arts organizations each year. More reasons to get a double scoop. Pressed Juicery – If the overcast weather has you longing for a bit of sunny Los Angeles, stop into Pressed Juicery in the Capitol Hill or Queen Anne neighborhoods. Their cold-pressed juices are nutritious and refreshing—perfect for taking on a walk through Seattle’s seven hills. Try any of their five “greens” juices for a healthy dose of vitamins and minerals, a chlorophyll H20 for energy, or the activated charcoal lemonade for a delicious antidote to body toxin build-up. Lummi Island—Take a ferry southwest and you’ll find yourself in a quaint archipelago town with excellent seafood and charming cafes. Stay overnight at the Willows Inn and dine at their famed restaurant for a tasting menu replete with Washingtonian flavors and delicacies. Rolling Huts—Modernist camping accommodations in a cluster of ‘huts’ with all the amenities. If you’re traveling with a larger group, rent out the turn of the century farmhouse, remodeled and renovated. Hike, bike, or cross-country ski through the Methow Valley and return to a beautiful, comfortable enclave of innovative design. Orcas Island—A neighbor to Lummi Island, Orcas Island is home to Moran State Park, a stunning destination for hikes and nature walks. With lakes and waterfalls dotting its paths, this is the ultimate serenity reset, and a fabulous way to end a relaxing vacation. Suncadia—Suncadia is a stunning city-adjacent getaway. Beautiful architecture punctuates the natural surroundings, with beautiful views of the river and mountains. If you’re traveling with kids, they’ve got an impressive roster of kid-friendly activities. Perfect opportunity for you to visit their world-class spring spa.